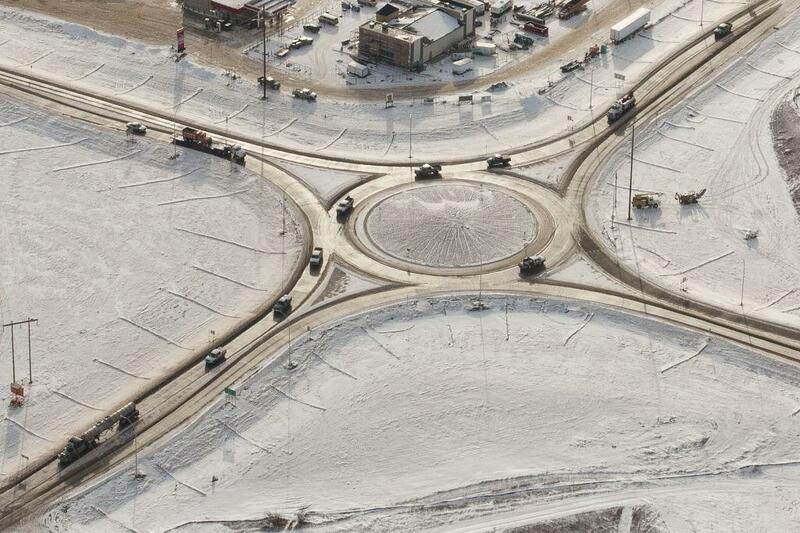 North Dakota Department of Transportation’s $3.3 million Killdeer Roundabout project reduced travel times and improved safety for a congested intersection on ND Highways 200 and 22. Due to a recent oil boom, the community of Killdeer has experienced a 360 percent increase in regular traffic and a 1,000 percent increase in truck traffic between 2006 and 2012. To increase safety and cut congestion for the growing amount of traffic, NDDOT constructed a new roundabout that would accommodate all the large trucks now traveling through the area. The roundabout ultimately provides an efficient movement of people, goods and services to the region, benefiting the economy.